A bill that would void a federal judge's order to increase spill over Snake and Columbia River dams to help migrating salmon was scheduled to be voted on by the full U.S. House of Representatives today. U.S. District Judge Michael Simon in Portland, Ore., had ordered the new spill operations at eight dams in March 2017 in response to litigation filed by 25 plaintiffs, including the Idaho Wildlife Foundation, Idaho Rivers United and Idaho Steelhead and Salmon United. A federal appeals court upheld the ruling on April 3, 2018. The bill, HR 3144, would require the dams to be operated under the current plan of operations -- the Federal Columbia River Biological Opinion -- until at least 2022. 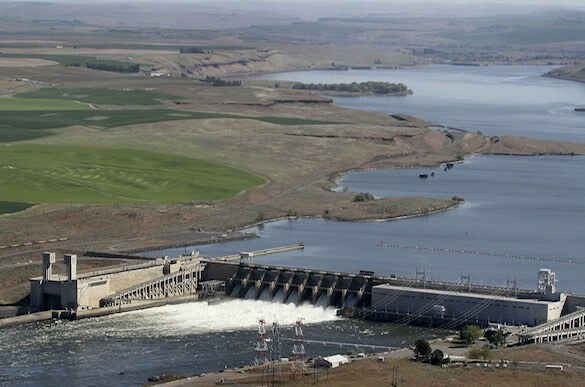 The bill's proponents, including its author, Rep. Cathy McMorris Rodgers, R-Wash., say the increased springtime water releases will cost electricity ratepayers about $40 million annually. Opponents say the extra water is crucial to improving survival of wild salmon. Rep. Raul Labrador, R-Idaho, is a co-sponsor of the bill. The bill has not yet been considered by the Senate.